As you know my parents invited me on their trip to Germany. They added a side trip to Poland where I could research in the Polish archives. My Mom wanted to stand on the land where our ancestors lived. I felt prepared for a research trip to Poland. I knew our family surnames and previous residences. 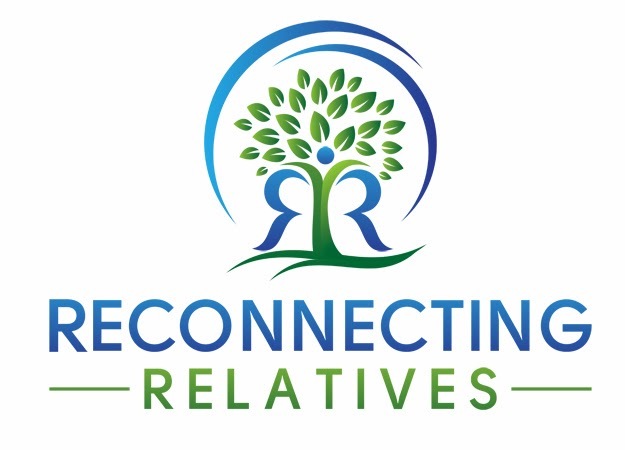 I had exhausted all online, FamilySearch and U.S. record groups. I also knew the record groups to review at the archives and which records I was hoping to find. For example, my great grandparents birth records from 1891 and 1895. Here is the catch. I do not speak Polish. I can usually recognize names/surnames in Polish handwriting in genealogical records, but speaking, writing or even sounding out Polish is beyond my capability. What does a good genealogist do when she does not have a needed skill to complete a project (and I didn't have enough time/years to learn Polish)? Just like you, we hire someone. 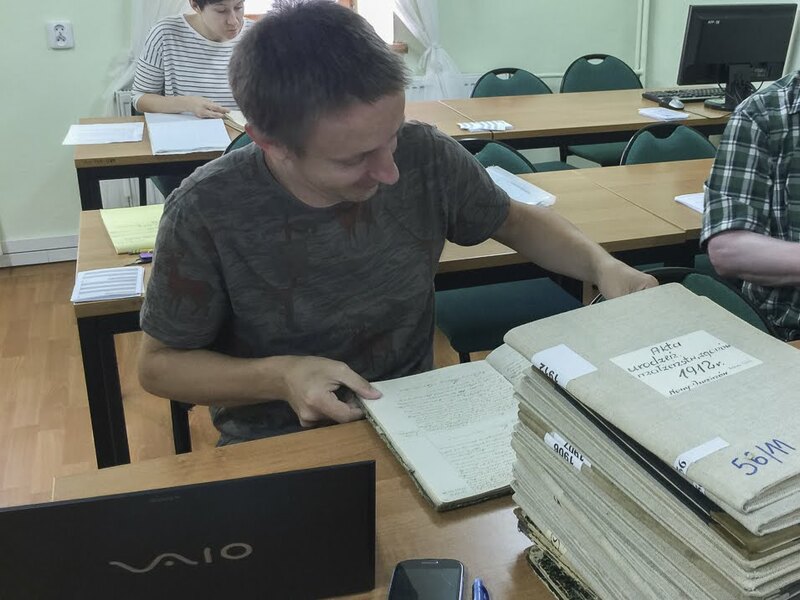 Zbigniew at the Płock archives. PolishOrigins is a registered tour operator. They travel to Poland and nearby countries that have been part of Poland. My new cousin, who had been using PolishOrigins for longer than I have, encouraged me to hire them to guide us on our research trip to Poland. I did and we were all happy to have Zbigniew, their chief genealogy guide to assist us on our journey into the past. between a big trip to Belarus and his next client. While with us, he gave us his full attention and energy to our family. It was super hectic as we had only two full days to accomplish so much, but he kept us on task and going forward. Sometimes he even let us have a coffee break. Zbigniew is a typical genealogist. Finding the records and the places and the people are more important than sleeping or eating. Although, sometimes I like to eat. And sleep. But he and my parents (Remember those rocket to Mars travelers?) kept telling me that I would have time on the train to sleep and eat. And I did. I highly recommend Zbigniew and PolishOrigins. My husband and I already plan to go back in two years for the IAJGS 2018 Jewish genealogy conference in Warsaw. Did I tell you that all we did in Warsaw was get off a plane and then onto a train after three days? I don't even like to think about everything I missed. I start to get anxiety. Anyway, Zbigniew insists that we must go first to Kraków before the conference because there is an amazing Jewish festival there every summer. It makes me happy to hear that Jewish life is flourishing in places where it had been obliterated. It is clear that Zbigniew loves Kraków and Poland and his job.